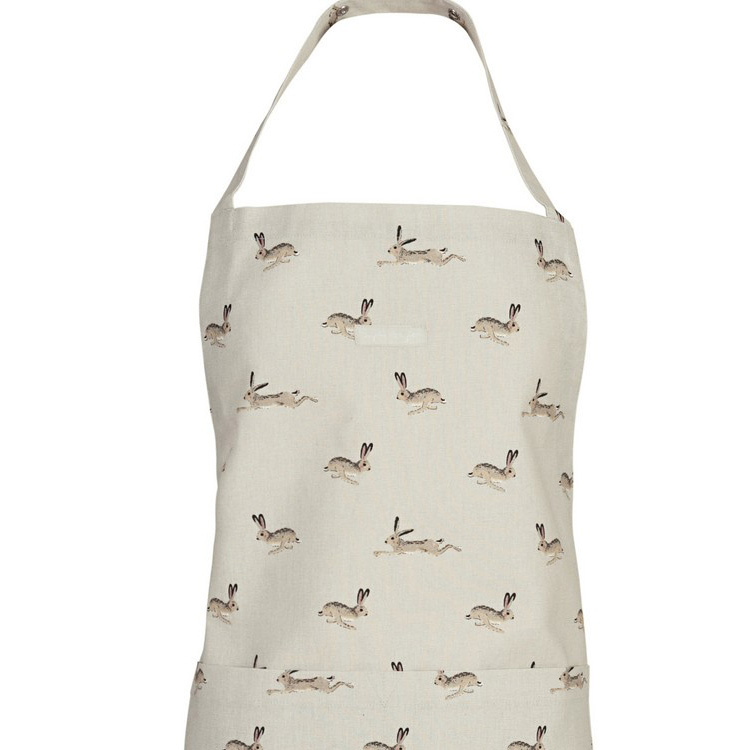 Using earthy pastel shades of brown and cream and a subtle dash of pink for the distinctive long ears, Sophie Allport's hare apron design is typical of the illustrator's knowing eye for British wild and domesticated animals. 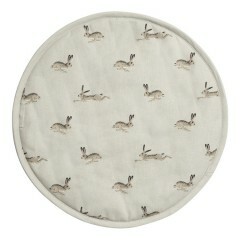 With a few simple strokes, this Lincolnshire illustrator will unerringly commit to fabric the charm of each creature's personality, always with a sense of joie de vivre. 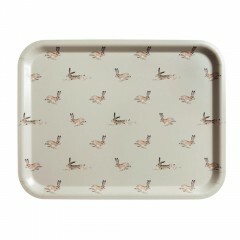 In the case of the hare, we're treated to a vision of an animal that almost takes flight, so effortlessly does it seem to sweep and bound across the countryside. 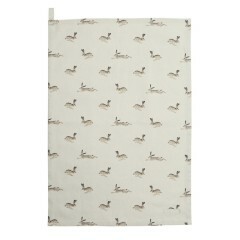 And the hare's perky ears suggest a vivacity which is as infectious as uninhibited laughter. 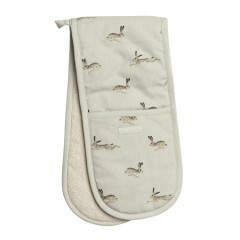 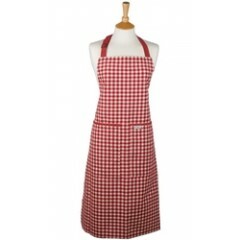 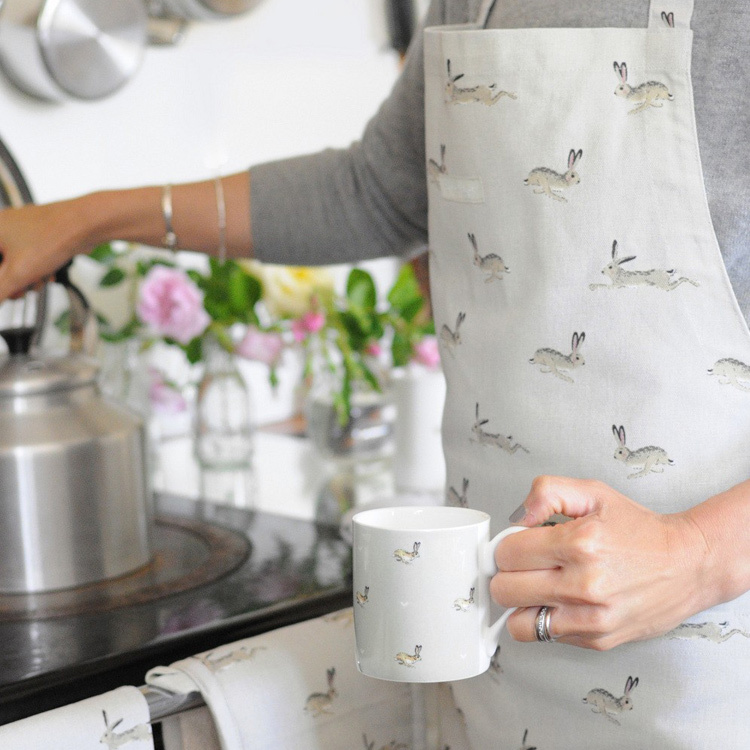 The hare apron is part of a range of matching kitchen linens that also includes a tea towel, hob covers for your Aga and sturdy double oven gloves. 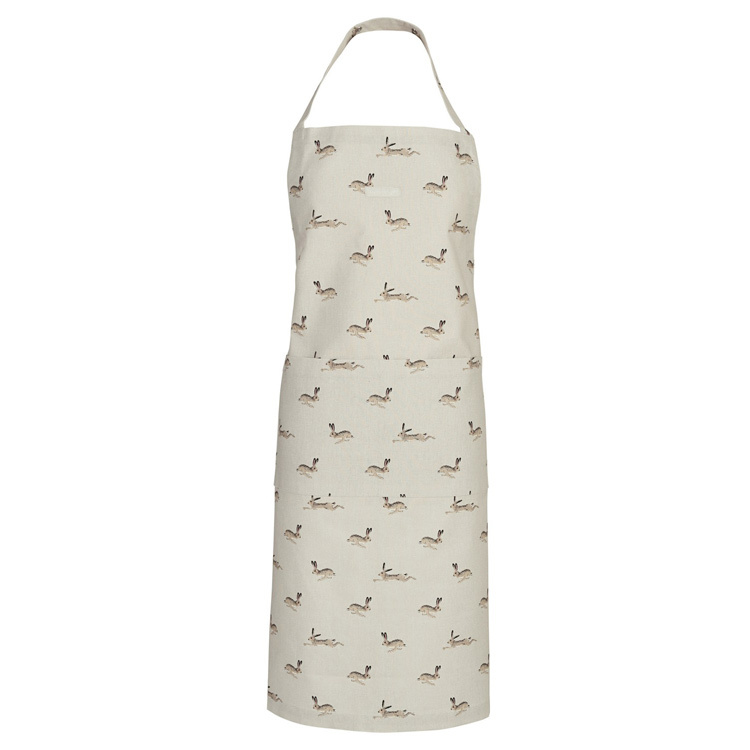 Here at Heart to Home, we love the hare design - it's astutely observed and its muted colours are calming, un-flashy and exceptionally tasteful - but we would never recommend this cook's apron if it wasn't fit for purpose, because in our opinion, an apron needs to be hard-working as well as good-looking. 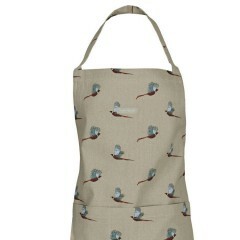 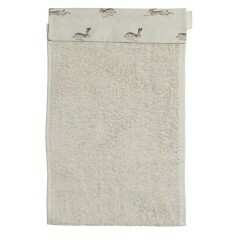 Sophie Allport's aprons are built to last from robust, machine washable, 100% cotton. 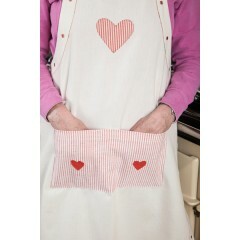 They're a good size to make sure you're fully covered-up while you get stuck in to the washing up or up to your elbows in baking ingredients. 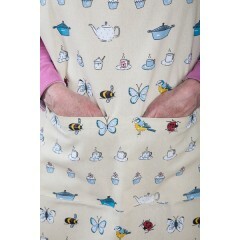 And the design is practical, with a large front pocket and an adjustable neck strap, so one size fits all perfectly snugly. 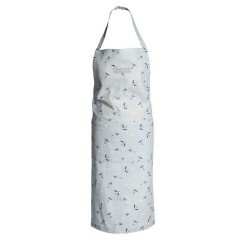 We know you will not be disappointed.